Lately, we have had a nonstop deluge of phone calls and walk-ins asking us to donate to one cause or another. Would you get better results if you spread your fundraising efforts over the entire year and not just at the year’s end? We, at Signarama, think so. 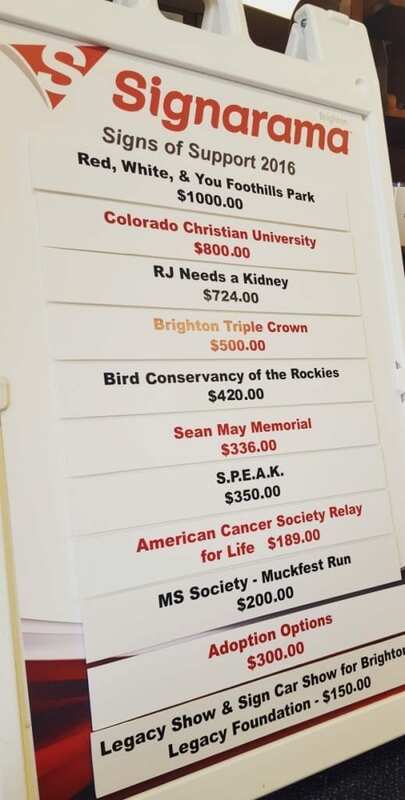 Over the past year, we have given to a number of organizations in the form of signs, design time and donations. We work with the groups that support the causes that resonate with our staff. Some of the nonprofits we have chosen to work with are Rescue Animal groups, Bird Observatory, Adoption Options, MS Society, Ho-Bo Boxer Rescue, Organ Transplant patients and more. These groups are in one way or another connected to one or more of our team members. We enjoy helping local nonprofits where the money stays within the community. This is extremely important to our team and we have made a decision to only look at these types of nonprofits because in order to build up yourself, it is a necessity to build up the community around you. Many of our repeat nonprofit organizations get us involved in their planning of events on the ground level, so we know when to add them to our calendars and can be prepared. 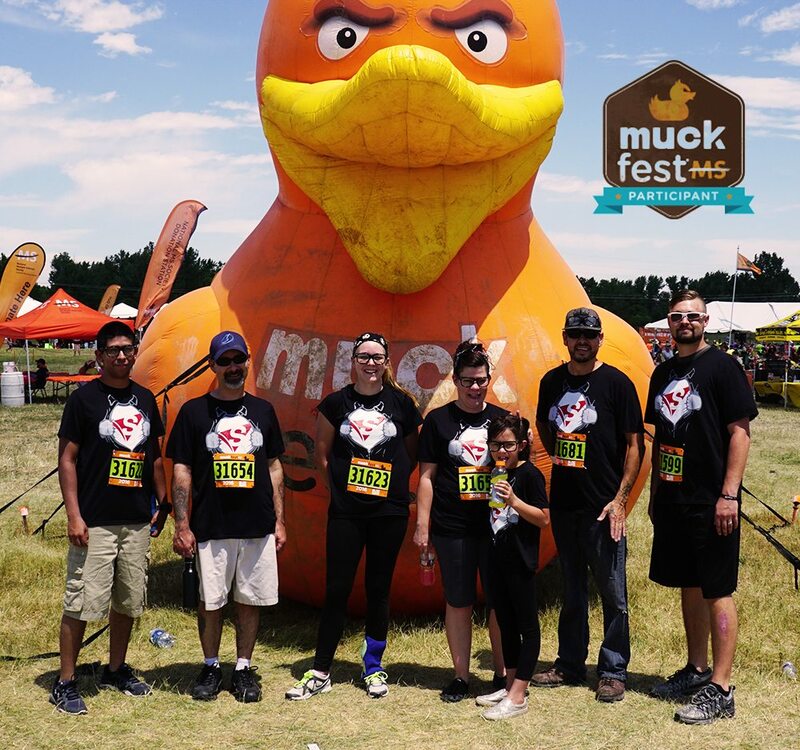 This year, our team participated in the MS Muckfest Run, put on by the MS Society. Not only, did our team design a superhero theme for the tee shirts and ran through a challenging mud-filled obstacle course (But not me.. I just took pictures! ), but we also developed a social media campaign in support of educating people on MS and its impacts. Other events include Golf Tournaments, Gala’s with auctions, 5K walk/races, Picnics and Community Outreach programs such as The Red White and You in Jefferson County. For the past 10 years, we have donated the banners for this 4th of July Event that is free for the community to attend. This event reaches upwards of 35,000 attendees and produces an amazing sense of community and family in the local area. So we challenge you to write us by clicking on this link and telling us about your nonprofit. What are you about? Who do to you help? Where do the funds go? All entries must be submitted by November 30th, 2016 to be considered. Our team will review all entries and select the NonProfits that make us feel joy to give and help you help others.